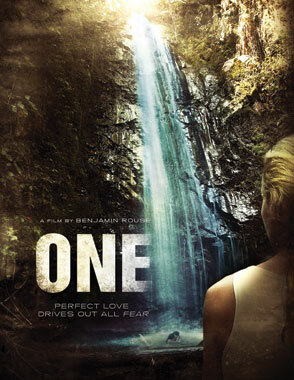 A group of friends head to a national park for their annual getaway and meet three beautiful strangers, EVE (24), MICHAEL (27) & JAMES (19), who take them on a journey to the heart of a natural paradise and the brink of death. Two groups of campers converge on a beautiful waterfall deep within a national park in the Canadian north. One group, lead by NATHAN (22) and LIZ (22), are locals who meet every year at this spot to reconnect while they’re away at university. The other group, lead by EVE (24), is a cult of psychopaths that believes Eve is god and the men are angels from heaven. They are preparing to bring on the apocalypse and must become numb to human suffering to accomplish this end. The cult has a new recruit, DAVID (19), who stocks the locals from the forest while Eve selects his female victim from among them. Eve leads the group deeper into the national park to a ‘paradise’ like campsite. Along the way, the local camper CHLOE (22) goes missing. KRIS (25), a local who vanished a year ago, has returned and is on route to meet up with his ex girlfriend Liz. He starts to piece together that his friends are in trouble as he searches for them in the expansive park.Eve’s abusive childhood comes to light through a series of flashbacks. The locals figure out that there is something not quite right about their new friends. All hell breaks loose as they attempt to break free. MICHAEL (27) – Eve’s right hand and enforcer – decides to finish them off. The locals fight for survival in the face of extreme evil. Chloe, faced with certain death, searches for reason in insanity in the hopes of surviving David’s plans for her. ONE is a thrill ride through the beautiful northern landscape. It is a story about the triumph of the human spirit in the face of religious perversity and extreme adversity. It is an archetype of what we see happening throughout the world today. 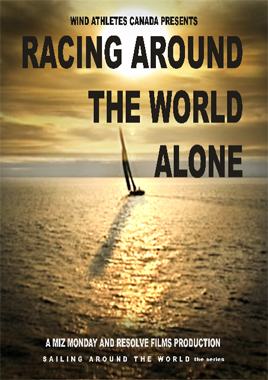 'Racing Around the World Alone' is the story of the 2008/2009 Vendee Globe race. 30 skippers embark on a quest to be the fastest to sail 27000 miles around the world, non stop, without assistance and alone on 60 foot sailboats. This is one of the most extreme challenges a human being can face. The sailors are alone at sea for months and physical and emotional strength are essential. Growlers (Icebergs), sea mammals, and massive waves are a constant danger. On any day the forces of nature can bring an end to the best sailor's well made plans. They harness the wind, hope for safe passage over the sea and push hard to win. They are a testament to the audacity of the human spirit. On their journey, they will see the world in a way that few ever have the chance to see it. However, as many a sailor knows, the ocean, though beautiful, is powerful and unforgiving. They set out to demonstrate that the human will is up to the greatest of challenges. This is their story. Check out the film website here. On December 28th 2008, the Open 60 class sailboat Spirit of Canada was overturned by a large breaking wave during the Vendee Globe solo ocean race around the world. The damage sustained forced skipper Derek Hatfield to abandon the race. The boat, damaged and badly in need of repair, is transported to Auckland New Zealand to be rebuilt and modernized. She is to be renamed O Canada and a new skipper will take over the helm. The boat must be completely torn apart and refit. The transformation to O Canada requires a lot of work and is taken on by master boat builder Alan West. Following the rebuild and under the supervision of seasoned New Zealand skipper Dan Slater, a group of five elite Canadian sailors make their way to New Zealand to learn to sail O Canada. The Canadians are mostly Olympic sailors but also include an Olympic coach and another offshore sailor in the Mini Transat class. They must endure a rigorous training schedule, be exposed to the dangers at sea in the safety at sea course, and go on their first overnight sail. They will be tested on their newly acquired skills and be expected to perform under pressure. It is the experience of a lifetime and the adventure will be challenging and entertaining for all involved. They will grow as a team and individuals through their shared experience. 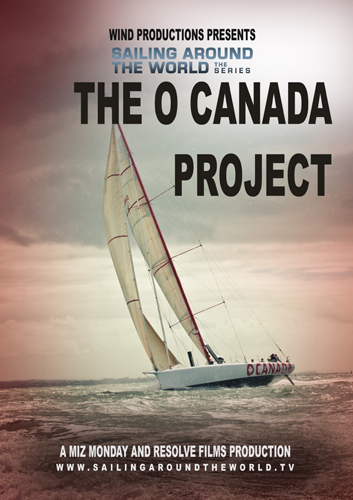 The O Canada Project is an intimate look at how Olympic class sailor's fare when exposed to the high power of the off shore racing yacht O Canada. After winning the 2010 Auckland to Fiji race, the newly refit Open 60 sailboat O Canada is transported to California to compete in the Islands Race, the Border Run and the Coastal Cup before taking on a world-class fleet in the Transpac yacht race from long Beach, California to Honolulu, Hawaii. O Canada is a no compromise Open 60 racing yacht built for going fast in the open ocean. Lead by sailing legend Richard Clarke, the team of five Canadians works hard sailing through an intense schedule of training days and races. With every race they improve and gain valuable experience sailing aboard O Canada. Each race exposes them to new challenges and they grow together as a team and competitors. The Transpac yacht race covers approximately 2225 nautical miles and is famous for fast downwind sailing under spinnaker in the trade winds. It is a premiere yacht race and draws many of the world's best sailors. Richard and the team are well prepared and ready to take on the fleet. With unprecedented coverage, you are taken on the adventure of a lifetime as the team races through the Pacific towards Hawaii. Every moment of their life onboard is caught on camera in this extremely intimate look at open ocean racing. 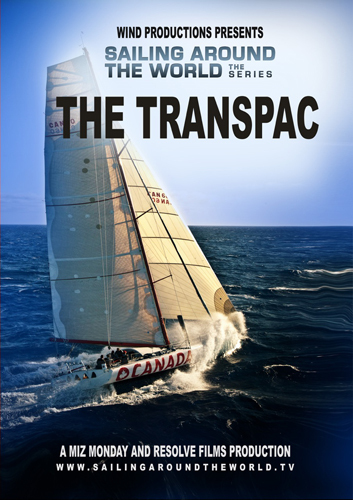 California to Hawaii Transpac 2011 puts you on the boat and makes you feel a part of the action. Drawn in by the team you are held captive by the majesty of the ocean and set ashore in beautiful Hawaii, a sea of experience in your wake.